A used household goods shipment can be imported tax and duty free if the owner has lived abroad for at least 1 year and the shipment has been owned and used during that time prior to importation. For vehicles more than 30 years old, antique vehicle rules apply (no duties, only 25% VAT). For all others, extreme charges will apply based on a very complicated calculation of ccm3, horsepower, weight, equipment etc. The owner of the goods should contact Customs to determine the import charges on specific vehicles. All taxes and duties must be paid to Customs before a shipment with a vehicle is released. 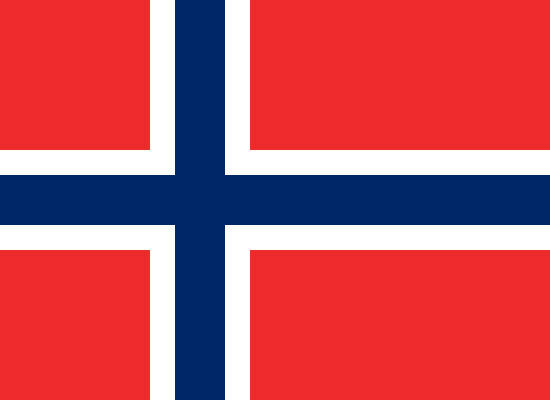 Vehicles must be registered in Norway and are subject to a yearly road tax. Import taxes and duties are approximately 105% of the current value of the vehicle. Cats and dogs must be treated for fox tapeworm within the 48 hours prior to importation by a licensed veterinarian. After the first treatment, cats and dogs that regularly travel to Norway from Sweden may subsequently be treated a minimum of every 28 days instead of just before each border crossing. No earlier than 120 days after the vaccination, a blood sample must be taken for antibody testing. Vaccinations against distemper and leptospirosis must be done at least 1 month prior to import. Contact agent for additional information regarding the importation of pets. IAM Note: Cats and dogs older than 3 months imported from Sweden must be treated for fox tapeworm (echinococcosis). The spread of the parasite can occur through direct contact with cats and dogs of through ingestion of mushrooms, berries, etc. from areas where the parasite exists. Wood packaging materials must be treated and marked according to ISPM-15 regulations. An import permit from the Ministry of Drugs is required and must be obtained prior to import. The import of alcohol is strongly discouraged as high duties and taxes will apply. A detailed list including brand, volume, year and strength must be presented to Customs. Spirits containing over 60% alcohol by volume cannot be imported.